An Update - Chicago Bound! | La Petite Noob | A Toronto-Based Fashion and Lifestyle Blog. Greetings Noobs - it's been a week. Work has been particularly crazy these past few days, and I feel as though it's given me a big kick in the tush - both physically and emotionally. The work-related exhaustion has made blogging pretty difficult; I had many posts planned for the weekend, but ended up coming home too tired for any of my ideas to materialize. Luckily for me, today is my Friday and I have the next few days off! What better way to celebrate the end of a trying week, and re-build my sanity, than a weekend trip? My husband and I are leaving for Chicago in the next couple of days, and it couldn't have come at a better time. I've been looking forward to this trip for awhile - it will be my first time visiting Chicago. I have been stuck on New York City as a quick weekend trip for the past few years, and have neglected to visit any other major metropolises in the United States. 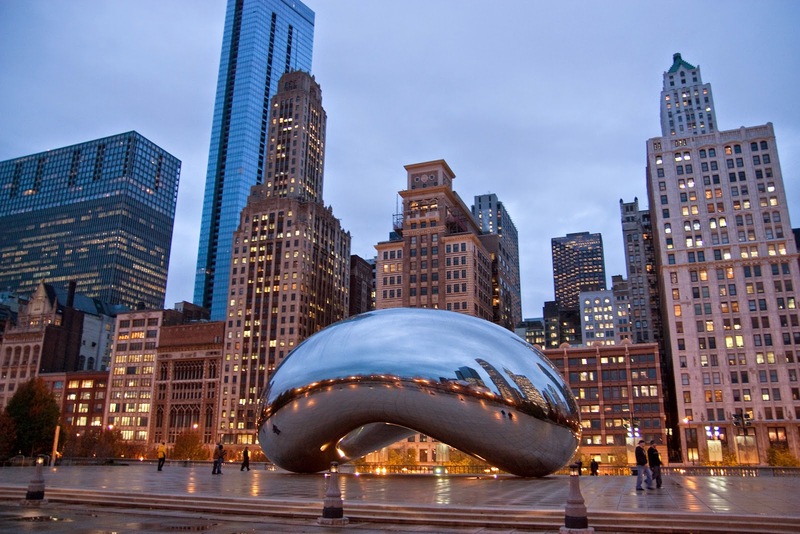 Out itinerary is already jammed packed (mostly with dinning reservations, I won't lie), but I would love to hear of any must-dos that must be done while visiting the city of Chicago! Expect many travel related posts on the roster. Until then, I cheers all of you with my [second] gin and tonic of the night. So sorry to hear that work has been bumming you out lately. I work in a hospital, and so I understand the emotional exhaustion associated with this line of work. I hope you have a great trip to Chicago! I've been several times for business. It may be a little bit cold right now, but the best thing I've done while in Chicago is take an architecture tour by boat. Chicago is home to so many famous buildings and styles that it was amazing. Pick up some Chicago style popcorn from Garrett's (or, you know, a suitcase worth). And on a shopping note, the Anthropologie on Chicago Ave just off from Michigan Ave is one of the nicest I've seen. Thanks for the comment Kris - so cool to learn that you work at a hospital! I'm sure that you can appreciate complete workplace exhaustion - do you find that your blog helps to alleviate it a bit? I sure do!